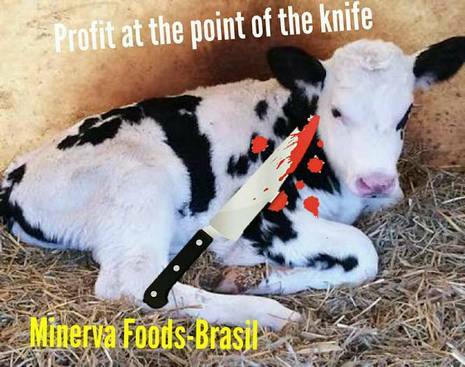 Minerva Food sale slogan: "Profit at the tip of the knife"
The sale of live cattle by Brazilian slaughterhouses caught the spotlight earlier this month when two nongovernmental organizations won court rulings that prevented a ship carrying 25,000 animals from travelling to Turkey. The vessel was eventually released as a result of an appeal by the federal government. The case shed light on a sector that has been growing around 20% a year and has become a revenue alternative for cattle ranchers and food companies, such as Minerva Foods. Entities linked to animal welfare, however, intend to continue trying to bar the activity. Although the sale of live cattle is an old practice, this segment of cattle ranching gained strength at the beginning of this decade, when foreign sales reached 690 thousand animals. From 2010 to 2012, the main destination of the Brazilian oxen was the slaughterhouses of Venezuela. With the severe economic crisis of the neighbouring country, sales plummeted in 2015. To make the business viable, ranchers found a new client: the Islamic religion market. By 2016, sales have soared to $ 263 million by 2017, according to the Ministry of Development, but still far from the heyday of volume (see chart on this page). This is a small number due to the annual slaughtering in the country, which amounts to between 35 million and 40 million head a year, says César Castro Alves, MB Agro livestock analyst. The 1% share of slaughterings, according to the specialist, should not rise significantly, as the global market for live cattle does not grow significantly - the total number of cattle is stationary at about 5 million head a year. "It's a niche fueled by religious issues. It may be a good option when prices are bad because selling live cattle does not add value to the product, "says Alves. Although the market as a whole does not grow, both business owners and the US Department of Agriculture (USDA) predict 20 to 30 percent increases in Brazilian exports by 2018. 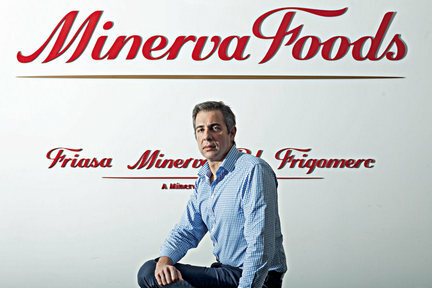 Minerva Foods, the owner of the cargo that was retained in Santos, of 40% of sales of live animals - a segment in which the leaders in cattle in Brazil, JBS and Marfrig, do not act. Wanted, Minerva did not give an interview. One explanation for the interest in the business is the fact that Muslim countries pay premiums on cattle reference prices. A source linked to exporters points out that buyers require specific breeds - Nelore cattle, a symbol of the Brazilian stock, is not accepted in Muslim countries, which prefer the Angus breed. In the face of the demands, it is necessary to raise animals for the foreign sale, which ends up being reflected in the price paid by the buyer. Among the other national companies with a relevant role in the export of live cattle are Mercúrio and Agroexport. To grow, entrepreneurs move to open new markets. Today, more than half of Brazilian sales are to Turkey. Business missions, however, are already seeking customers in Malaysia and Indonesia - two countries now mostly served by Australia. The assessment is that if the strategy succeeds, sales of live cattle can grow by more than 50% to 600,000 units per year by 2023. Reaction. However, entities such as the National Animal Protection and Defense Forum and the Animal Rights News Agency (Anda), which have managed to suspend the sale of live cattle for a few days, are not willing to part with the attempt to paralyze the sector. "Our fight is for the respect to the animals, that are not contemplated in the Brazilian export rules, which are limited to sanitary aspects", says Vânia Plaza Nunes, a veterinary doctor and technical director of the Animal Forum. The fight with the fridges is long-term. According to her, new resources to paralyze sales of live cattle will be presented in the coming weeks. In the wake of the death-ship denunciations, French MEP Pascal Durand, Vice-President of the European Parliament's Animal Rights Committee, said yesterday that more than 1 million citizens and about a third of Parliament are in favor of creating an ICC that investigates the "scandalous" conditions of the transport of live animals, respecting the duration of travel, space, hygiene, access to water, etc. "We must no more turn a blind eye to this unsustainable and unacceptable exploitation of animals!" We are witnessing a global awakening against maltreatment. Good citizens from all over the world will soon manifest in favor of animals - and you can get started now! And the cruel Halal slaughter continues in the receiving Muslim countries. Considering this live export only amounts to 1-2% of total Brazilian beef export, adverse public opinion around the world could spell disaster for the Brazilian meat export as a whole. Very risky for small, low gain sales. Also means loss of income for refrigerators and loss of work for the population.